First screenshots balanced this week, the first news about the new features in the game! 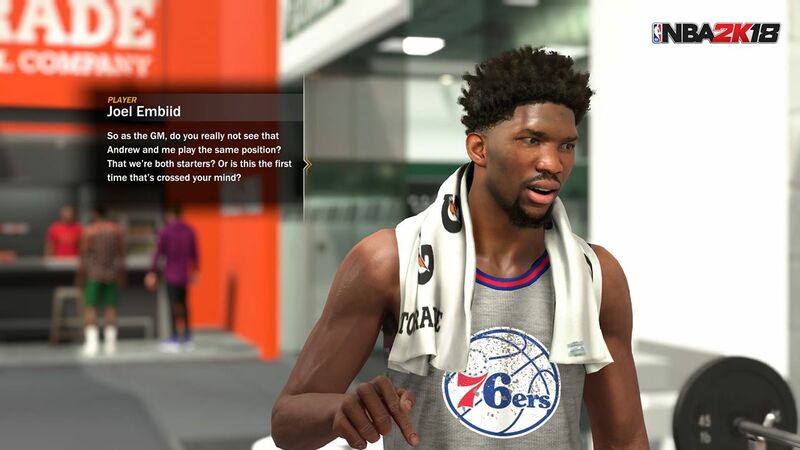 NBA 2K18 looked at the MyGM and MyLeague modes, in order to suppress any social life. If the MyPlayer mode is a big chunk expected by the solo players and the simple "Play Now" remains the most beautiful of the classics, the 2K studios know that the basketball fans are never entirely satisfied and that they must be brought closer together Possible reality. This is good, it is in this dynamic that 2K18 was designed, with even more details focused on the modes MyGM and MyLeague. Those who absolutely want to know everything can redirect themselves to this link in English, but we do you a summary checkpoint below to have the main one in mind. 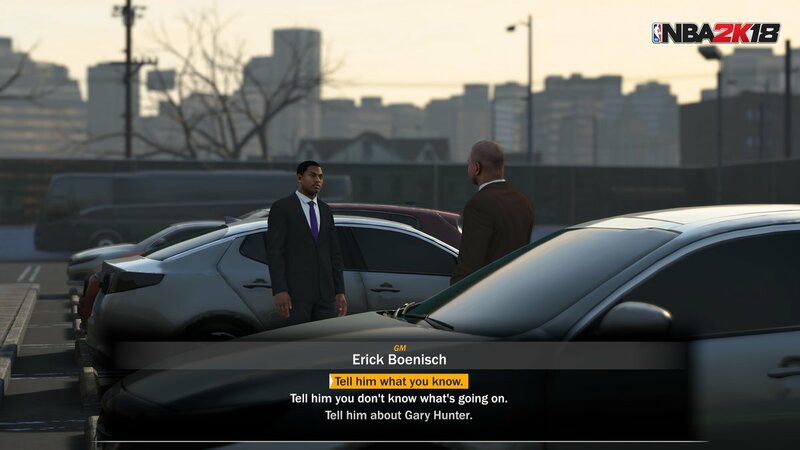 • MyGM: The Next Chapter will put you in the shoes of a former GM player. You got injured in Dallas in 2011 and never really got back. Former star, you are now a GM and have mouths to close by showing your skills at the decision-making level. A page to write yourself. • Total freedom in actions in MyGM mode, the scenario should not block the desires of each player and the desired changes (effective, transfers, Draft, ...). The too fixed frame was a strong criticism of the last 2K, this time the freedom of control should be increased as much as possible to avoid a too linear path. 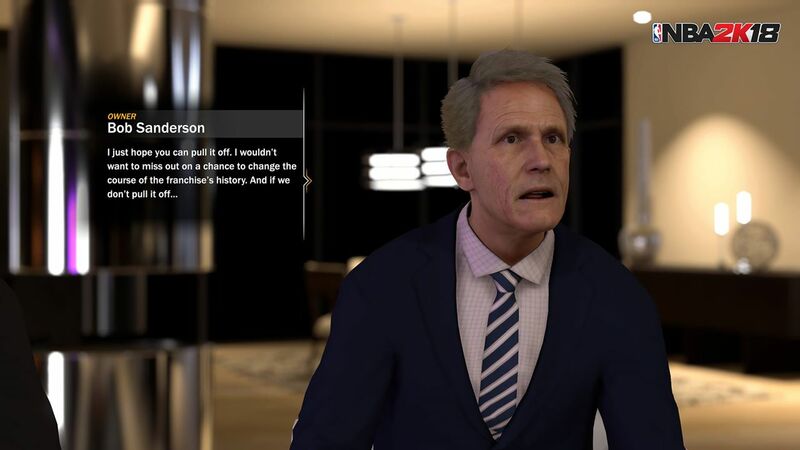 • In MyLEAGUE, integration of the novelties related to the real NBA: the last CBA (Collective Bargaining Agreement), the G-League Integration which will be non-playable but well-present, new types of contracts, ... Possibility to host the All-Star game in appropriate arena of its new host city. • Ten new cities to relocate: Fort Worth, El Paso, Albuquerque, Tucson, Fresno, Long Beach, Virginia Beach, Mesa, Raleigh and Colorado Springs. 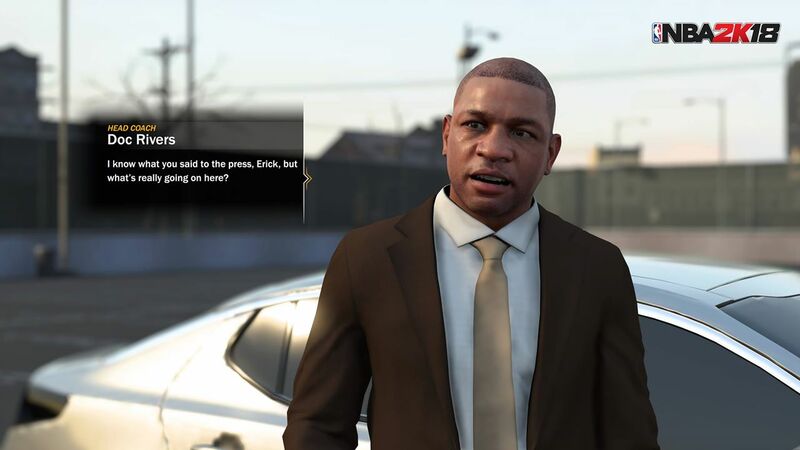 Knowing that the MyGM mode had pleased many players but lacked fields of action and this feeling of perpetual surprise, we hope to see these announcements confirmed during the NBA 2K18 release. Next step? MyPlayer. 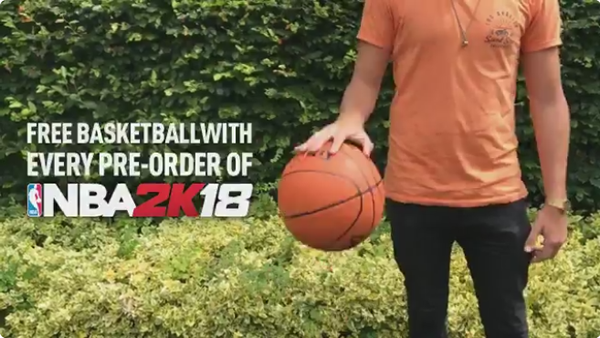 In addition, players who pre-order any edition of NBA 2K18 at GAME.co.uk can get a free Spalding basketball!